Teaching is a demanding profession, not least of all on your feet, and having the best shoes for teachers can help you to concentrate on your teaching and not on your feet. Buy shoes that will give you the comfort you need, as well as the support and stability in shoes when standing or walking all day long. We take a look at some of the best on the market, we uncover the material that is used to help your feet to stay cool and dry. View the Best Teacher Shoes, Below. What are good Shoes for Teachers? The Top Shoes for Teachers who Stand all Day? What are the most Comfortable Shoes for Teachers? Best Shoes on a Budget for Teachers? Top Rated Shoes for Teachers with Flat Feet? We consider the style and construction of the different shoes, what kind of padding and support they offer. We look at the durability that the shoe offers you. We look at the different shoe styles from slip-ons to athletic teacher style shoes. The footbed of the womens shoe is as important as the outsole in the way that it will provide comfort in every step you take. Van's is a well-known brand of shoes for popular comfortable shoes that are durable and also look great, perfect for the teacher who stands or walks all day long. The canvas uppers are lightweight, durable and breathable and these low profile shoes with Eley Kishimoto collaboration printed canvas offer the perfect shoe for teachers. The slip-on style shoe with a shaft that measures about 1.94" from arch, low profile upper features an elastic side accent, for an extremely comfortable fit that with not only keep your foot securely in the shoe but also enables you to put the shoe on and take it off easily. The footbed of the shoe is padded to offer that added comfort and great shock absorption which is vital when you are standing all day to protect your feet, the collar of the shoe is also padded. The synthetic sole with Van's signature waffle outsole for excellent traction and a board feel, with vulcanized construction, which not only adds durability but also comfort.to the shoe. Standing all day does not have to be a teacher's worst nightmare with these low profile, canvas upper Van's slip-on style shoes. They are stylish and comfortable shoes that offer a padded footbed and collar for great comfort and the signature waffle outsole offers an enhanced board feel to the shoe for added comfort and great traction. This is a classic men's shoe for male teachers who stand and walk all day. Packed full of features to ensure that your feet are comfortable, supported and secure all day long and with a great stylish look. The full grain leather upper give this shoe a sense of elegance and style. These are low profile slip-on style shoes that offer a sole unit that is designed to support your foot and a padded collar for extra comfort. The AirCushion heel along with the compression molded EVA footframe and molded nylon arch shank, keeps your foot stable during the long day. The Ortholite footbed is anatomically designed for ultimate comfort and the mesh lining of the shoe is designed to wick away any moisture, these features keep your foot dry and cool. 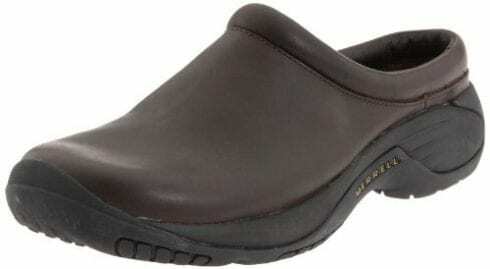 Aegis antimicrobial solution in the lining of the shoe prevents odor giving your feet that fresh feeling. 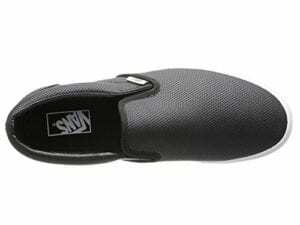 These slip-on's not only deliver on the comfort aspect but also provide a rubber outsole, which is flexible, and is designed to reduce the level of foot or leg fatigue you feel when standing or walking all day. The M-Select GRIP sole delivers you traction to deal with any kind of hazardous surfaces. These are the perfect shoes for male teachers who find themselves on their feet all day. The perfect shoe that is both stylish and practical with a full grain leather upper, AirCushioned heel with compression molded EVA footframe and anatomically designed Ortholite footbed for comfort and support. The Aegis antimicrobial lining of the shoe prevents foot odor and the M-Select GRIP sole offers superb traction. 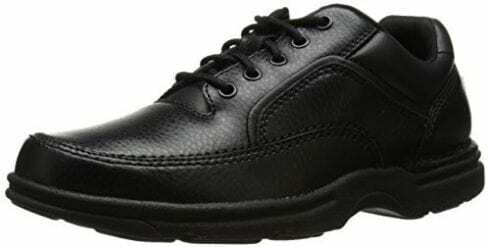 Sketchers has long provided work shoes that are designed for comfort, support and stability along with a stylish look that is perfect for the teacher who finds themselves standing and walking all day. The skechers go walk shoe is constructed from mesh fabric with a synthetic sole and is extremely lightweight and easy to wear. The mesh uppers are both flexible and comfortable as well as being breathable to ensure that your feet get the airflow they need to remain cool and fresh all day long. The soft inner lining of the shoe will ensure ultimate comfort no matter how long you day is. The 5gen midsole cushioning of the skechers go walk is not only comfortable but also highly responsive, this innovative feature along with the Goga max high rebound insole will not only make every step you take more comfortable, it will help to energize your feet giving you a bounce in your step. These are some of the best, most comfortable teacher shoes on the market, designed for comfort and support, and they are also very well priced, making them an extremely affordable option for teachers. One of the most comfy shoes for teachers, these Sketchers offer breathable mesh uppers to keep your foot aerated throughout the day, 5gen midsole cushioning and a Goga max high rebound insole for ultimate comfort and support, they are extremely lightweight and flexible and come at a very reasonable price. These shoes for male teachers offer you the style, support, comfort and durability you need in a shoe, especially when you spend your day walking or standing in front of a classroom full of energetic children. These leather lace-up style shoes offer a mesh lining, which not only wicks away moisture but will also add to the breathability of the shoe. The EVA midsole is designed to be shock absorbing as well as being incredible lightweight and flexible. San Crispino for heel stability and Strobel offer you flexibility in the forefoot. The latex foam footbed ensures that your foot is cushioned and support and this prevents foot and leg fatigue when standing for long periods. The outsoles of these great teacher shoes are biomechanically designed to complement your natural motion. The rubber construction is durable and offers great grip on any surface keeping you stable on your feet no matter what. In order to accommodate any kind of foot size and shape, the Eureka offer extended sizes, so even if you have wide feet you will find them comfortable and supportive making them one of the most amazing comfortable shoes on the market. Designed with the teacher who spends all day on their feet in mind these leather lace-up shoes offer a mesh lining for ultimate breathability, heel support and great flexibility. This along with the Latex foam footbed and biomechanically designed outsole will ensure that your foot is comfortable and supported all day long. A comfortable, supportive and great looking athletic styled sneaker for male teachers who spend their day on their feet, offering a host of features that ensure you can stay focused on your class and not your feet. The upper of the shoe is designed with Sanuk moc toe construction and incorporates a padded collar adding to the comfort level of the shoe. The low profile design of the shoe is comfortable and supportive. The EVA footbed of the shoe features an antimicrobial additive, which is designed to ensure that your foot not only stays fresh and cool, but also helps to prevent odor causing bacteria. The footbed is also removable, so if you have any foot issues that require an orthotic insert, you can easily replace it. With a vulcanized construction and a sipped rubber outsole the shoe offers not only stability and comfort but also great traction to keep you securely on your feet at all times. A supportive shoe for teachers with a removable footbed that you can replace with orthotics, which is perfect for those teachers with foot issues. Sanuk moc toe construction with a padded collar for ultimate comfort and support, and a sipped rubber outsole with vulcanized construction for stability and great traction. Looking for a cute shoes for standing all day, then you found it in these Paloma Flat shoes for female teachers who look for comfort and style in a work shoe. A low top clog with a cushioned flatform sole, this shoe has a patent leather upper that is designed to be bright and fashionable with a vibrant Mary Jane - a great fashion sneaker. Featuring a removable insole to allow you to replace them with customized orthotics, breathable leather insole that offers you built-in arch support. The footbed is anatomically designed to allow for the natural shape of your foot and the rocker outsole will reduce the heel and toe pressure on your foot when walking or standing all day long. The Paloma offers extra depth and this ensures a roomy fit to ensure that your toes are not cramped or squeezed. The flat bottom of the shoe ensures great contact with the hard flooring keeping you stable and secure on your feet at all times. Being on your feet all day can be a pain especially if you have any foot issues. You need to find a pair of shoes that don't hurt. The Paloma Flat offers a removable insole so you can replace it with customized orthotics, built-in arch support, extra depth for a roomy fit and a rocker bottom for ultimate comfort and support throughout the long day. This is one of the best, most stylish Toms teacher shoes on the market at the moment, not only do they look great, they offer comfort, support and stability, which is essential when standing or walking all day long. 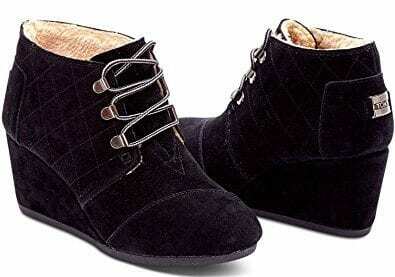 These wedge shoes provide ultimate comfort and are constructed with leather material uppers and synthetic soles. The shoe has a rounded toe to give you wiggle room that prevents foot fatigue and foot pain; it can also help to prevent bunions. For more shoes for bunions click here. The suede wedge of the shoe in low heel height is about 2 ¾" which is high enough to look elegant, and not so high that you will feel uncomfortable. The laces with metal tips add a touch of style to the shoe while the Antimicrobial sock liner ensures that you prevent odor when wearing the shoe for extended periods of time, especially in hot weather. The rubber sole offer not only comfort but also great traction to keep you stable on your feet throughout the day this is one of the most comfortable wedges around. For the female teacher who wants to look elegant but get all the comfort they can get for a long day on their feet the Toms shoe for teacher is the one to get. With a stylish suede wedge and leather material upper, rubber sole, antimicrobial linings and laces with metal tips for a dash of pizazz. 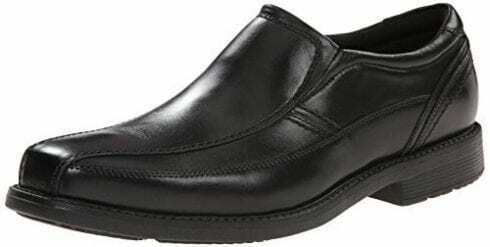 One of the most comfortable shoes for male teachers that also look great, are highly durable and easy to put on and take off, Rockport's offer a host of features that will meet your every requirement in a teachers shoe. Leather uppers that are both durable and comfortable, not to mention stylish, along with a bicycle-toe to ensure you get the right wiggle room for your toes and concealed-goring side panels which make the shoe easy to put on and take off, and keep your foot securely in the shoe at all times. The sponge EVA footbed is designed to offer utmost comfort, it will conform to your foot and offer great shock absorption, and the DEWIX anti-microbial lining in the shoe will ensure that you do not have the embarrassment of bad odors after wearing them all day long. The lining is also designed to wick away moisture keeping your feet cool and dry throughout the day. The rubber sole of the shoe is incredibly flexible and allows your foot a full range of motion. The shoe comes in extended sizes, so if you suffer from wide feet or wide toes, this stylish shoe will cater for you. Keeping your feet cool, dry and comfortable during a long day of teaching is no challenge with these great teacher shoes. The leather uppers lend a touch of style while the bicycle-toe, concealed-goring side panels, and sponge EVA footbed ensure ultimate comfort. Avoid odors with the DEWIX anti-microbial lining. When winter comes we all want our feet to be warm and cozy and the Naturalizer Women's Tanita Wide-Calf boot is just the shoe to offer you what you need. The leather and suede upper is durable and amazingly comfortable while the fabric/faux fur lined interior not only keep your feet warm and snug, but is also extremely breathable and will help to prevent your feet from sweating. 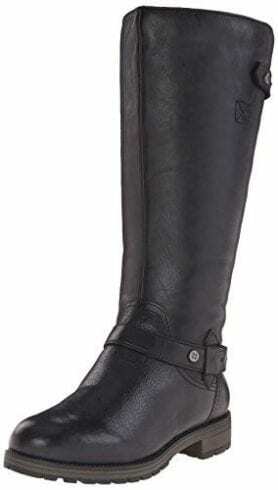 The full length zipper on the side of the boot, along with the expanding back panel and the straps at both the cuff and ankle which are adjustable, ensure that you get the best fit for your boot and keeps the boot securely on your feet at all times. The material is lightweight and will not weigh you down while standing or walking for long periods. The boot offers N5 comfort technology, including extra latex cushioning, lining that is breathable, a well-balanced heel to toe fit with a flexible synthetic outsole. The cushioning and support of the shoe as well as the shock absorbing qualities they have guarantee that you will not feel the effects of a long and busy day on your feet. A great teachers boot that offers a full length zipper on the side along with an expanding back panel and straps at both cuff and ankle for maximum support and stability. The N5 comfort technology with includes latex cushioning combined with the synthetic outsole make this one of the most comfortable teacher shoes. Arch support is one of the most important comfort features that a shoe can offer to help prevent pain and discomfort when standing and walking for long periods and the Nala has great arch support in toe sandals or flip flops. The leather uppers that are adorned with geometric studs situated along the center strap and the buckle closure at the ankle, which is fully adjustable. 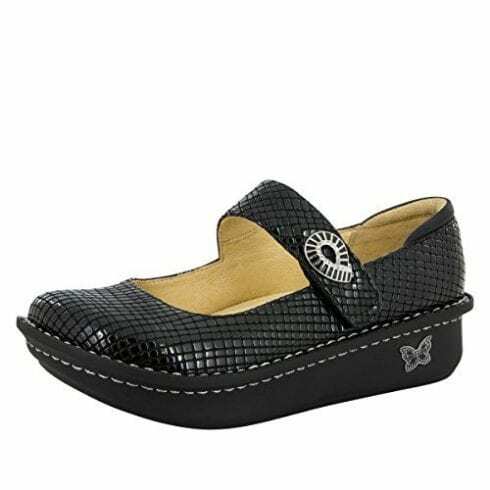 This great sandal is a cute comfortable shoe for walking or standing all day and one of the best supportive shoes for teachers available for women on the market. The toe post of the shoe is made from soft woven material and this combines with the molded microfiber-covered EVA footbed, these two features ensure that you get the maximum comfort for all day wear. Leather upper lining and rubber sole make this shoe very durable as well as offering the support and comfort that any teacher needs for a long day at the front of the class. Cute, funky and one of the most supportive sandals for teachers on the market the Nala offers superb arch support, a soft woven toe post, molded microfiber-covered EVA footbed and buckle closure at the ankle. The geometric studs down the center strap add a touch of style an elegance to the sandal. Teachers spend many hours on their feet and they need shoes that offer the kind of features that will keep their feet comfortable, stable, and supported throughout their working day. Cushioned footbeds, flexible soles and uppers and superb breathability will go a long way in making their day more bearable. The perfect shoes for teachers who spend the day standing in front of their class are those provide breathability, stability, comfort, and support to the wearer. 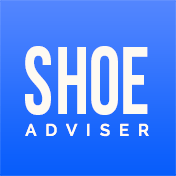 There are a few vital aspects to look out for when deciding which shoe to choose. Good teachers’ shoes will incorporate different types of materials, will be gender specific and offer a sense of style for the teacher whether they are male or female. The material of a great teachers shoe should be breathable and durable. Some of the most common and most comfortable uppers are constructed from leather, patent leather, and mesh. These types of material are not only flexible, allowing your foot a range of movement as well as being highly breathable. This means that your feet will receive great airflow to keep them cool and dry at all times. Wearing gender specific shoes can definitely make a difference in your comfort levels when standing or walking all day. Men’s and women’s feet are distinctly different from one another, men’s feet tend to be wider and larger than ladies feet and wearing the incorrect shoe that is ill-fitting because it is too narrow or too wide can lead to you not only ending up with sore feet at the end of the day but also developing foot issues over a period of time. Some even have narrow heels! Most of the top brands make shoes that are gender specific, incorporating different styles and sizes specifically designed for either one or the other gender. The style of a shoe can make all the difference, and ultimately the style will be based on your personal choice. Having a shoe that is comfortable and easy to wear is important and that is why a slip-on style shoe is very popular among teachers. Athletic styled sneakers are also a great choice as they offer the support and stability that teachers who walk and stand all day need. In this aspect, gender specific shoes such as high heels, and cute teacher shoes are designed specifically for the female teacher in mind and wedges are one of the most comfortable styled, high heel shoes for women teachers. The style of the shoe incorporates not only its looks but also the construction of the shoe, whether it is slip-on, clog, lace-up or heeled and selecting the right style for you is a personal choice. There are a number of brands that make shoes designed for those in professions where they are expected to stand or walk all day, including teachers. Brands such as Merrel, Skechers and Van’s all offer the level of comfort, support, and stability you need in a top shoe for teachers, incorporating breathable materials, good rubber soles with great traction and comfortable footbeds. Some of these shoes also have removable footbeds so you can insert your own orthotics, which is great if you suffer from any kind of foot issue. Ultimately the perfect shoe for you will be the one that meets all your needs, be it having a shoe that is stylish with classic looks, or cute and funky with heels for female teachers, but the top shoes will offer comfort, durability, breathability, and stability to keep your feet cool, dry and protected all day long. The most comfortable shoes for teachers include those that offer a high level of support in the footbed, sole and uppers of the shoe. They also offer a padded footbed, and some even offer removable footbeds for teachers that need orthotics to help with foot issues. The most comfortable will also have shock absorbing qualities to ensure that you relieve the pressure on other joints such as knees and ankles. Soft rubber soles and outsoles add to the level of comfort offered as well as keeping you stable on your feet with great traction. Each person will require a different type of shoe that caters for their specific style, but the same features are prevalent in all shoes that are designed for people who stand all day such as teachers, and those are, great padding and cushioning, excellent shock absorption, superb fit and an easy to wear style. Not all shoes that offer all the right features need to cost a fortune, Skechers for instance offer shoes that are comfortable, supportive and great work shoes for people who stand all day such as teachers, and they will not break the bank. Having a good pair of shoes is essential when you are a teacher, not only to keep your feet comfortable and supported but also to help avoid developing foot issues such as bunions. Most shoe manufacturers will have budget options that will enable you to ensure your feet are taken care of even if you are on a budget. People who suffer from flat feet require shoes that offer stability, support and some form of motion control. When you have flat feet or fallen arches, you need to have a shoe that offers you the arch support you need to avoid putting added stress on your ankles, feet, and knees and leading to you developing other foot issues. People who have flat feet tend to pronate. This means they tend to turn their ankle inwards when walking. Your arches help you to keep your foot straight on landing and this is not so with flat footed people. So having the correct footwear that will compensate for your lack of arch support is vital. Stability and motion control shoes are what you need to look for when choosing a shoe to help you with your flat feet. That does not mean you have to wear those big bulky work shoes, there are a number of brands that offer shoes with arch support that are stylish cute and funky. One of these kinds of shoes we have reviewed for you in our top teachers’ shoes and that is the Vionic Women’s Nala Arch Support Sandal. Wearing the right shoes when in a profession such as teaching is vital, spending long days on your feet can not only be uncomfortable but also cause foot issues such as bunions and the correct footwear will help to avoid these. Supportive flexible uppers, cushioned footbeds, and soft rubber soles are the order of the day for all teachers when it comes to top teachers shoes. When you are a teacher by profession you need a shoe that will keep your feet cool, dry, comfortable and stable throughout your day and these Van’s slip-on style shoes for male teachers are the perfect fit for the teacher who stands and walks all day. Lightweight with canvas uppers that are not only durable but also breathable to allow your feet to get the airflow they need to remain cool. They have a great look with a low profile design and Eley Kishimoto collaboration printed canvas. Being a slip-on style shoe they are easy to put on and the elastic side accent on the shoe allows for the most comfortable fit. This feature also ensures your foot stays securely in the shoe at all times. The footbed is padded with a shock absorbing quality, which is vital when standing all day to relieve the pressure on other joints. The collar is also padded to give you an even higher level of comfort. Synthetic outsole with and signature waffle outsole is durable and also provides the traction you need. All of these great features along with good looks make the Van’s men’s slip-on shoe our top choice teachers shoe for 2019. This great teachers shoe is packed full of features to help the teacher who stands or walk all day long keep their feet comfortable, supported and stable through their day. 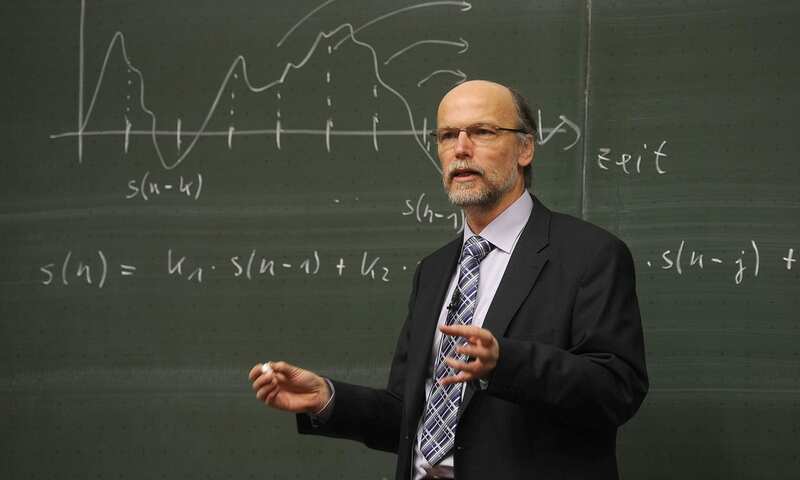 This helps the teacher excel in their duty of teaching – read more here. The Merrel Encore offers a stylish, classic slip-on style look with full grain leather uppers, which are durable and breathable and offer your foot a great range of motion. The sole unit of this fantastic shoe is designed with a padded collar of added comfort, an AirCushion heel, as well as a molded EVA footframe with a molded nylon arch shank. These great features along with the Ortholite footbed, which has been anatomically designed with, mesh inner lining, which will wick away moisture, will ensure that your foot remains cool and dry, as well as comfortable all day long. The Aegis antimicrobial solution that is incorporated into the lining of the shoe helps to prevent odors keeping your feet feeling and smelling fresh. The rubber outsole is flexible and designed to reduce foot and leg fatigue. M-Select GRIP sole offers the traction you need. All of these great features, combined with outstanding classic looks, make the Merrell Men’s Encore Gust Slip-On our premium choice for 2019 and well worth the money. Sketchers is a brand that is known for producing outstanding teacher shoes and these Performance Women’s Go Walk 4 are no exception to that. Designed for the utmost comfort and style, these shoes are perfect for the female teacher who wants to look great and feel great throughout their day on their feet. The mesh fabric construction of the shoe helps to keep it lightweight and also breathable. The material is flexible and will conform to your foot allowing for a great range of movement for your feet. Having feet that are cool and feeling fresh is guaranteed by the soft inner lining of the shoe that will offer high comfort levels no matter how long your day in class is. The 5gen midsole cushioning of the shoe is an innovative feature and this along with the Goga max high rebound insole make the shoe highly responsive and will energize your feet giving you a bounce in your step and keeping your feet supported and comfortable. These great features, combined with a fantastic price ticket are what make the Skechers Performance Women’s Go Walk 4 our great value choice. We hope you enjoyed our article on "The 10 Best Shoes for Teachers", if so, please share and rate it.